VaporFi Review – What Makes VaporFi the Most Wanted Vape Brand? 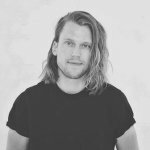 VaporFi Review – Why Is This Brand So Cool? VaporFi is a subsidiary of the International Vapor Group Inc. It is on a mission to give users an extraordinary vaping experience. They are doing it with a wide variety of vaping products ideal for beginner and advanced vapers alike. In fact, they claim to be the number one vape brand that offers products online as well as in stores. Let’s see how much sense their claim makes. Disclosure: All the products which we review on this website are tested by our trained, paid staff. As part of the review, VapingDaily.com links directly to the product or brands so that you may purchase directly from the provider. We receive commissions from these providers, however, this does not affect the price you pay, and the commissions we earn help us pay for the costs of running this website. Click here to learn more. Thank you. VaporFi gives customers the option of shopping online, or at one of the retail locations. Finding your nearest VaporFi shop is easy. You can do this by enabling your location on your PC, tablet or phone. Then, the website will search for you. You can find VaporFi stores all over the US. They include: South Beach, Houston, Washington, Philadelphia, and Orlando. VaporFi promises the best quality e-cigarettes and vaporizers in terms of battery life, flavor, and vapor. The highly anticipated VaporFi Pro 3 Vape Starter Kit did not disappoint. The mouth to lung technology mimics the sense of actual smoking way better than its competitors. For dry herbs, the Orbit Dry Herb Vaporizer uses the best possible design and tech to make it the best experience for its users. Here, you will find an advanced heating chamber which is easy to open and to fill. The VaporFi All-In-One 75-watt temperature control device comes with a tank and MOD combo. This leaves the worrying about finding compatible set-ups in the past. VaporFi offers customers a wide variety of unique, high-quality vaping devices. They range from vape pens to vape mods. In fact, they designed them to bring the user the best out of their dry herbs or e-liquids. The devices vary in style, design and are highly customizable. Actually, we suggest that you have something in mind before beginning your search. This is because the selection is huge. It’s easy to get distracted by all the new and shiny gadgets. Most other vape brands will offer products for only beginners or intermediate vapers. 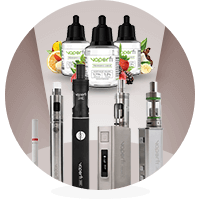 However, VaporFi has an impressive collection of vape gear for advanced vapers. In addition, there is a gift bundle. Their powerful vape mods include VaporFi VEX, and VAIO TC MOD. They are both amazing, customizable devices. VaporFi offers customers the opportunity to fully customize their vaporizers. They do this by allowing them to choose their own atomizers, tanks, and batteries. Of course, the users can choose the color of their desires. Some devices come with a standard battery, where the user can only choose the color. With the VEX and VOX mods, you have a choice between 40 and 60, or 75 TC. Depending on your device, here you choose between vape tanks i.e. RDA tanks, sub ohm tanks, etc. Choose a Pro atomizer, Jet atomizer or a Pulse atomizer. Extra atomizer heads are available for sale in packs of 5. You can also choose drip tips, and wall adapter. For beginners, the ideal bundle includes the VaporFi Pro 3. This will seem like an analog cigarette smoking experience with advanced mouth to lung vaping tech. VaporFi only stocks top of the line e-liquids, 100% USA-made. You will find the e-liquid high in potency. Furthermore, the manufacturing standards are high and comprised of USP Grade Kosher materials. They only use glycerin of the purest standards. They sourced it from the Soybean making it free of diacetyl as well as nut-related products. The user can select up to three flavors, or double shots. After, VaporFi Vapetenders® will blend and create your concoctions.. Not sure what you will enjoy? Ask for a sampler 3-pack. These come in 10ml bottles. It is the perfect way to test out one flavor or to mix them up and see what you like, before ordering a custom flavor. This ensures that you’ll only get the flavors that your taste buds will love. The founders created the VaporFi concept out of a need for higher standards and better products on the market. They know that there are many low-end, poor performing and cheaply made e-cigarettes flooding the market. In fact, they believe that people are already aware of that. Therefore, they decided to fix that problem with only the best products for sale. VaporFi is pretty much on par with other brands when it comes to their pricing. On average, 30ml e-juice will cost you $15.99, with some of their flavor dropping to as low as $11.99. We suggest trying out the $24.99 sampler pack before committing. Same with the starter kits. A basic starter kit like the VaporFi Pro3 Vape Starter Kit will cost you $39.99. Additionally, it is the same amount that most brands will charge for a cig-a-like or disposable kit. The packaging for the VaporFi products is nothing short of impressive. In fact, the packaging is very much like the one that you’ll find with $500+ smartphones. They size the white and green cardboard boxes according to the product. You will find that the Styrofoam keeps everything safe inside. All in all, packing is elegant, secure, and easy to open. VaporFi prides themselves in knowing exactly what their customers want. They couple that with a team of innovators to give them the edge on their competitors. They aim to serve customers with a higher caliber of options when it comes to vaping products. 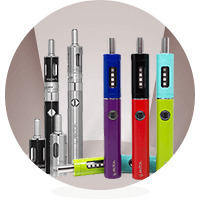 The team has ample experience in the e-cigarette industry. Therefore, the staff have a keen understanding of what their customers search for. One of my vaper friends wasn’t happy about VaporFi delaying her order. She was totally out of e-juice and paid extra for expedited shipping. However, the order arrived two days later than it should have. Furthermore, the customer service didn’t refund the extra money she paid for premium shipping. As a result, we wanted to know more about the Pro3 Vape Starter Kit and decided to use the contact submission page. One of the customer care team members got back to us almost immediately. The rep explained everything we wanted to know in a friendly and professional manner. Did we mention you can reach out to the support team via phone, 24/7? I don’t know any other vape company that offers round the clock customer support. I find that very comforting. Most of the products available from VaporFi come with a 90-day warranty. As a result, it is handy for users who experience any issues with their products during this period. This obviously doesn’t include e-liquids. In addition, it also doesn’t include atomizer heads, tanks, drip tips, cartomizers or clearomizers. It’s easy to get help, by simply contacting VaporFi. Just explain your issue and you’ll receive a Return Merchandise Authorization (RMA) number. Then, you only have to ship back the defective item within 20 days of receiving your RMA. Return shipping is not pre-paid. You can return the defective items by a flat rate priority padded envelope, or by USPS first class mail to ensure its safety. Once they receive the item, workers will inspect it. After, if they deem it to be a manufacturing defect, they will refund the shipping cost to the user’s account. If you are not 100% satisfied with your device, VaporFi offers a 30-day money back guarantee. If you are shopping within the USA, VaporFi offers free shipping on orders of $75 or more. The processing and turnaround time is fast, with same-day shipping on orders placed by 12:00 EST. Just out of curiosity, I swung by the VaporFi store on one of the busiest streets of Philadelphia. It surprised me to see such a neat and perfectly organized vape shop. I will have to admit that I didn’t buy anything. However, the associates knew their stuff and answered all my questions very professionally. VaporFi is a great brand with a super user-friendly website. Their prices are quite average compared to other brands. Our favorite part is the gift bundles. It doesn’t matter if it is for someone else, or if you just feel like spoiling yourself a little. We believe you will find something there. First, it is the awesome variety of sleek-looking, fully customizable vaping devices. Then, it is a massive assortment of e-juices to choose from. There is something for everyone. Consequently, that’s what makes VaporFi one of the biggest and most popular online vape stores. Their products offer great value for money. In fact, it will not disappoint you if you grabbed one. Check out Vapor Craze, one of the first e-cig brands, by reading our full review. See how their products perform amidst the growing e-cig industry today. I got 2 mods from VapeVi. I started using the Kylin mini on the second one worked great for 2 weeks. Now I cannot use it on it. So I called Customer Service and I was told I could not use the Kylin Mini with this Mod . I have 2 of the VaI0 80 TC. I love them. The woman told me I could not send it back. Well I will send it back and never buy from them again. I wanted to leave a kind word for a company that is excellent at customer and the speed at which they get your order ready and shipped! It truly blows my mind at how fast they’ve been with every single order I’ve placed! If you like doing business with a company that will go beyond regular expectations then vaporfi is for you! I placed my order the Friday before laborday and still my order was waiting on me the very first day the post office opened! I’m made the mistake of ordering from somewhere else because of a sale on a product, I will never do that again! I normally don’t do reviews but they truly deserve a good word for there customer service, and it’s been that way every time I deal with vaporfi! I’m one happy customer!